Park districts and private enterprises often run different programs for children and adults simultaneously. One easy way to solve the need to create different sized rooms for classes on a moments notice is by using Screenflex Portable Room Dividers. This plan was created so that 3 different programs could be run simultaneously in the same large open room. 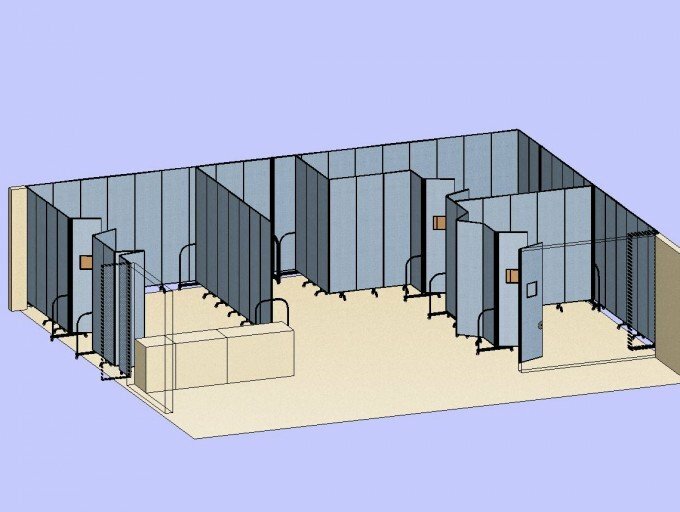 The acoustical properties of the 80 tall portable walls help reduce noise in the area without interfering with the lighting, heating and ventilation systems. As needed the portable walls can easily be re-arranged to create larger or smaller rooms.